I'm a bit of a dunce when it comes to Blogger. I tried very hard for, oooooh, about 5 minutes to copy my Blog Camp 2.0 posts from my blog to here. Couldn't seem to make it work though. So I'm cheating and linking to them below...they are mostly photos (no surprise there then) which speak better as a diary of Blog Camp at this point than words. As with Blog Camp 1.5 I find myself needing some time to chew over our wonderful time together before writing about it with any meaning. If you'd like to see rather a lot of photos take a look at 'Blog Camp 2.0...live blogging!' , 'Blog Camp 2.0...the gin cocktail version' and 'Blog Camp 2.0...I'm never going to leave the Blue Room'. 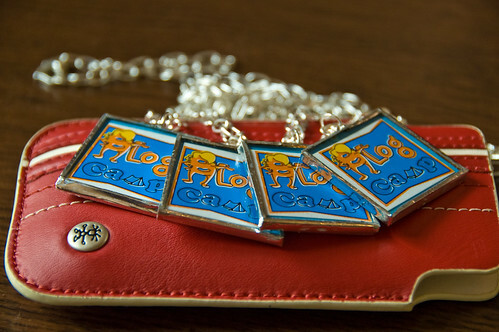 Now then, now then... we have those necklaces too, and we love 'em. check 'em out on Blog Camp Reno! btw...vw...cosynest...isn't that where we all go home to? 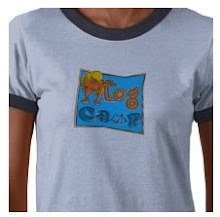 im in love with the blog camp idea. you campers should drop by Toronto next time and i promise to take you for some real camping fun in the summer of course. Yea, the photos don't copy well (or at all?) in Blogger. I haven't been able to figure it out either.